Give your customers the power to prove their identity online and in person using their mobile phone. Increase customer acquisition by simplifying and accelerating identity proofing. Scan ID documents, including driver's licence, health card, and passport. Verify your customer's name, age, address, and other information, remotely or in-person in minutes. Comply with FINTRAC AML-KYC regulations and all four Identity Assurance Levels of the Treasury Board of Canada. 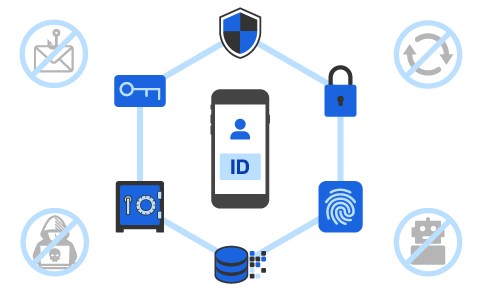 Provide customers a certificate-based digital identity with verified personal information, secured with strong encryption and the hardware-backed security on your customer's mobile phone. No personal information is centralized or stored online in a cloud database, eliminating massive identity theft attacks. The customer always has control of their identity. 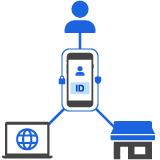 Let customers access your online and in-person services using their verified identity information on their mobile phone. 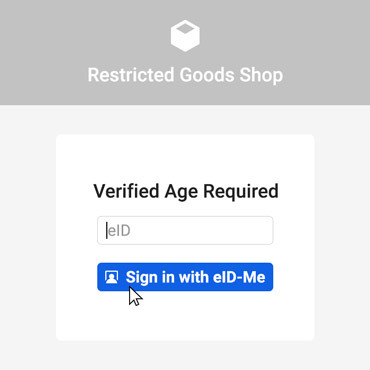 Enable purchases of restricted goods with verified age. Enable registrations for financial products with verified name, address, and phone number. No passwords required. Based on industry standards. Easy to use, easy to install, and very secure. Learn about eID-Me and the Government of Ontario. Meet Know Your Customer (KYC) requirements. 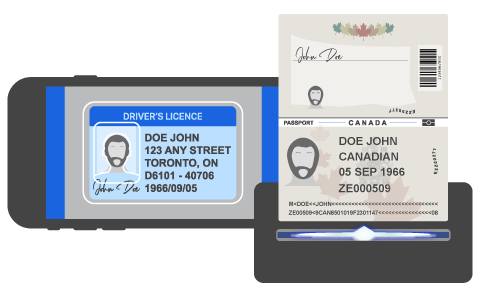 Verify a customer’s driver’s licence, health card, passport, and more. Give customers the convenience they want with remote identity proofing from their home. Give customers the option of in-person identity proofing from your locations. 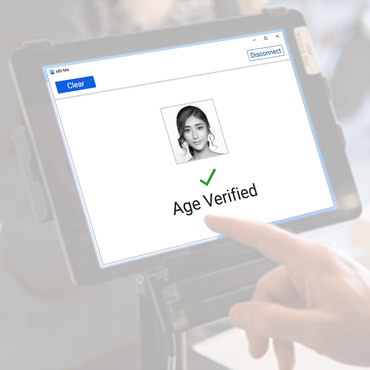 Ensure accurate identity proofing with computer vision, fraud detection, geolocation, liveness detection, facial recognition, and ultraviolet, infrared card scanning. All data is secured with strong AES-256 encryption. Password-free logins are secured with public key authentication, which resists phishing, replay, man-in-the-middle, and man-in-the-browser attacks. Every hardware security mechanism available on the phone is leveraged to ensure identities cannot be stolen, copied, or forged. 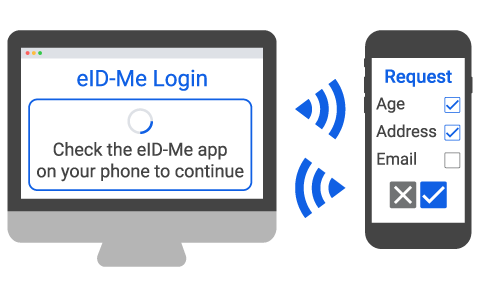 Next-generation hardware security modules (HSMs) ensure that eID-Me’s registration and identity services cannot be maliciously accessed. 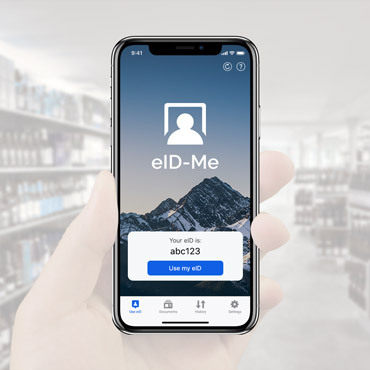 Reduce the effectiveness of trending, large-scale data breaches and identity theft with eID-Me’s decentralized architecture. Provide convenient access to both online and in-person services based on the customer’s trusted digital identity. 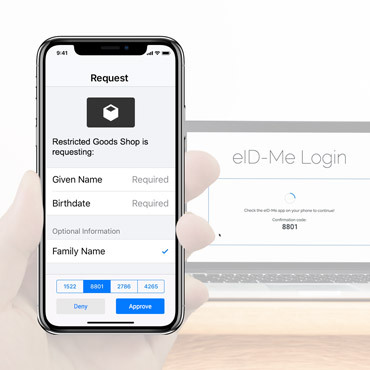 Enable password-free sign in to your online web service with automatic push notifications to the customer’s eID-Me mobile app. 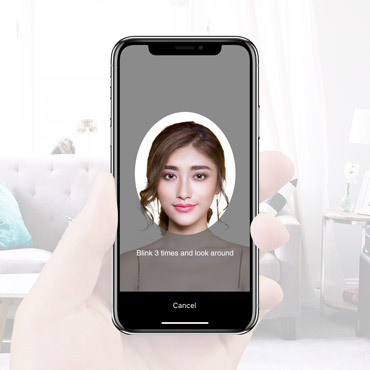 Customers simply tap on their phone or use their phone’s biometric scanner to initiate and authorize identity requests. Customers always see who is requesting their identity information and which information is requested. Give customers control over their digital identity by letting them choose which identity information they want to share. Identity information is always in your customers’ possession. It is never hosted by a centralized service or third-party provider. 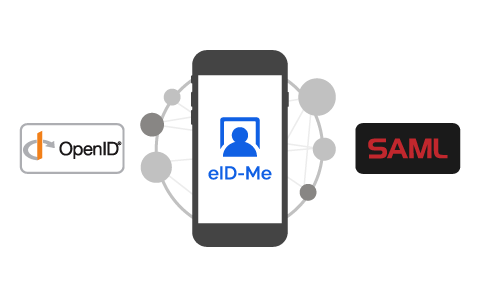 eID-Me is based on industry-standard identity federation protocols (OpenID Connect and SAML), which enables easy adoption. eID-Me is compatible with standard QR code readers and scanners, which are widely available and already used in most point of sale systems. White label eID-Me with your branding if desired. 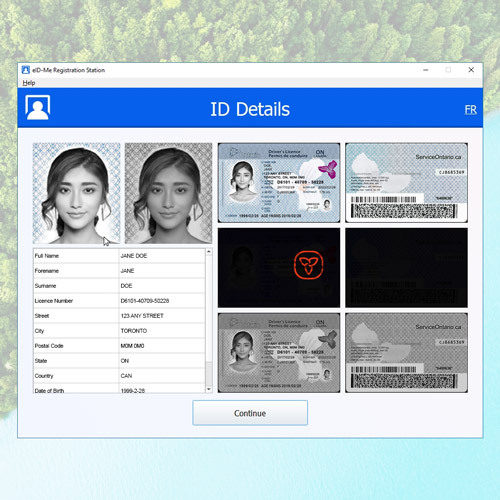 Issue verified digital identity credentials based on verified identity information from official government ID. 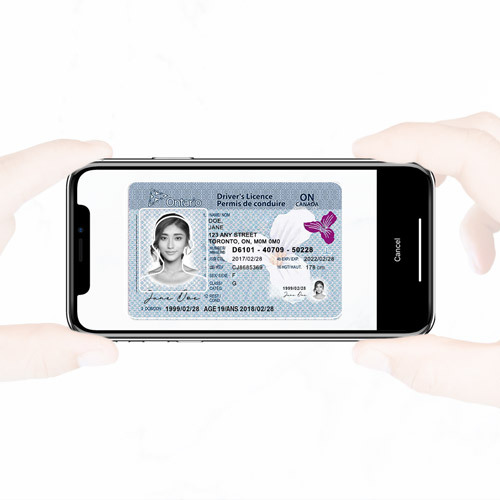 Provide convenient and secure access to digital government services and benefits with verified digital identity credentials. Reduce processing and wait times at in-person government services as more citizens easily adopt digital government services with eID-Me. Let customers conveniently sign up for your financial services online with fast, remote identity proofing. Know your customer with verified name, address, and credit history to determine trustworthiness. Comply with FINTRAC anti-money laundering, know your customer (AML, KYC) regulations. 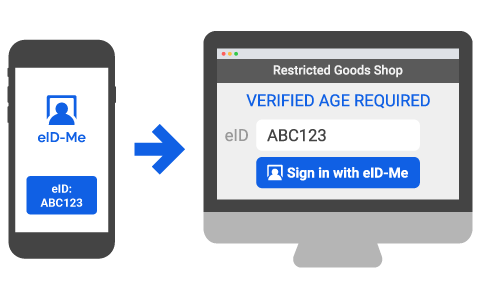 Sell restricted goods online by easily verifying your customer’s age, address, and other identity information. Build customer loyalty by letting customers quickly sign in to your website using their verified digital identity (password-free). 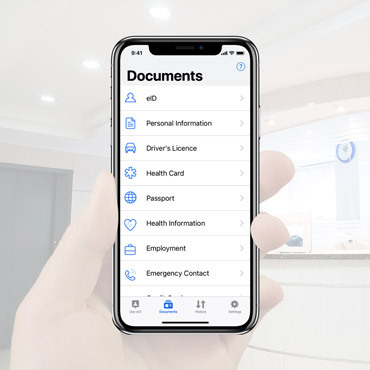 Automatically receive the most accurate, up-to-date identity and medical information directly from your patient’s phone. Reduce errors in electronic medical records due to typos and out-of-date information. Decrease failed payments due to inaccurate electronic medical records, increasing revenue. Know your customer by conveniently verifying their name, address, and driver's licence to determine their trustworthiness. Give lenders peace of mind by ensuring that their shared resources are only used by trustworthy borrowers. Increase growth by boosting your credibility with eID-Me’s verified digital identity infrastructure. Scan ID cards and documents. Submit for identity proofing through the eID-Me service. Once your identity is verified, your eID-Me digital identity is issued to your phone. Registration clerk verifies your ID photo and information. Once your identity is verified, register for the app using email or a printed QR code, and your eID-Me digital identity is issued to your phone. Choose the eID-Me option on supported sites. 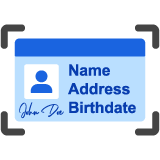 Enter your eID-Me identifier into the username field. 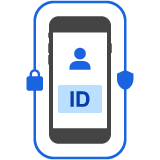 Receive identity request notification on your phone. Review the identity information being requested, and select the information you are willing to share. Select the correct Confirmation Code. Approve the identity request to send approved identity information and sign in to the web service or deny the request, refusing to share any identity information, and abort the login process. Tap “Use my ID” in your eID-Me app to reveal a connection QR code. Let the clerk scan the QR code displayed on your phone. Receive identity request pushed to your phone. Approve the identity request to send approved identity information or deny the request, refusing to share any identity information.